Labour’s candidate – Damien Egan -; has been elected as Mayor of Lewisham with 54% of the vote and a majority of 30,000. Damien becomes London’s youngest ever directly elected Mayor, with the highest vote share ever in Lewisham. Since 2010, the Tory Government has slashed funding for Lewisham Council in half. Labour has stood up to Tory austerity, including leading the fight against Jeremy Hunt’s attempts to close Lewisham A&E. 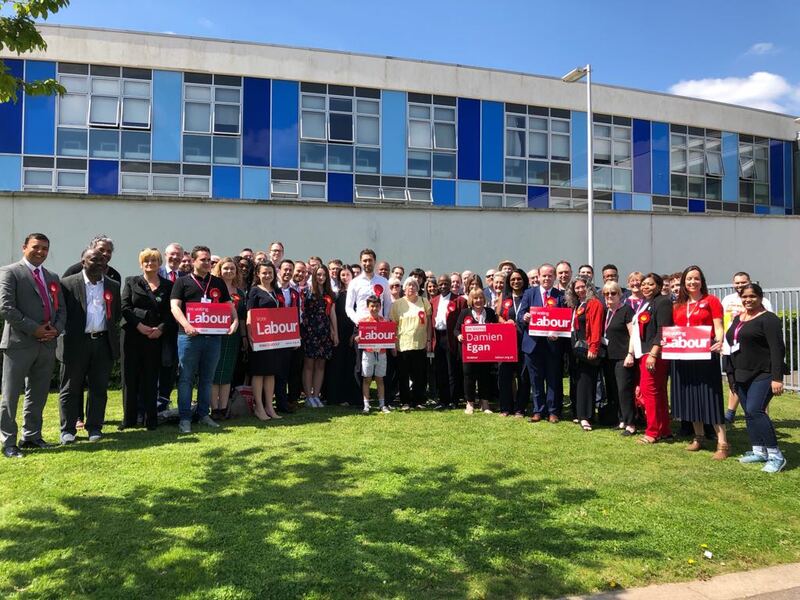 The result marks a vote of trust in Lewisham Labour’s record, an endorsement of Labour’s radical manifesto, and a massive rejection of Tory austerity. Born in Ireland, Damien Egan has served as a Councillor in Lewisham since 2010, and has been the lead on housing for the last four years. In his speech, Damien paid tribute to Sir Steve Bullock, who has stood down after serving as Mayor of Lewisham for 16 years. I want to say a huge thank you to the people of Lewisham for electing me to serve as their Mayor. Lewisham residents have placed their trust in us as a party. We will continue to work hard to represent and fight for them. With this result, we have sent a clear message to this Conservative government that we oppose their austerity agenda and we will fight back against the pain and misery it is causing in our borough. In spite of a Tory government and their brutal cuts to council funding, we are determined to implement our priorities which will mean many more social homes, decent schools, cleaner air and much more. I look forward to getting to work on the bold and radical vision we set out for our borough.